What's a Doggone Fun Ticket? ​Corn Hole -- both adult & kids versions! One untimed fun run for your athletic pooch! pets' basket, wine basket, family basket & more! $10 for as many as Veronica is tall! 3 sessions, each run during band sets. Buy tickets to win limited-time, special baskets you'll see our team walking around with at random times throughout the day! ​Tickets are limited, and just $5 each! 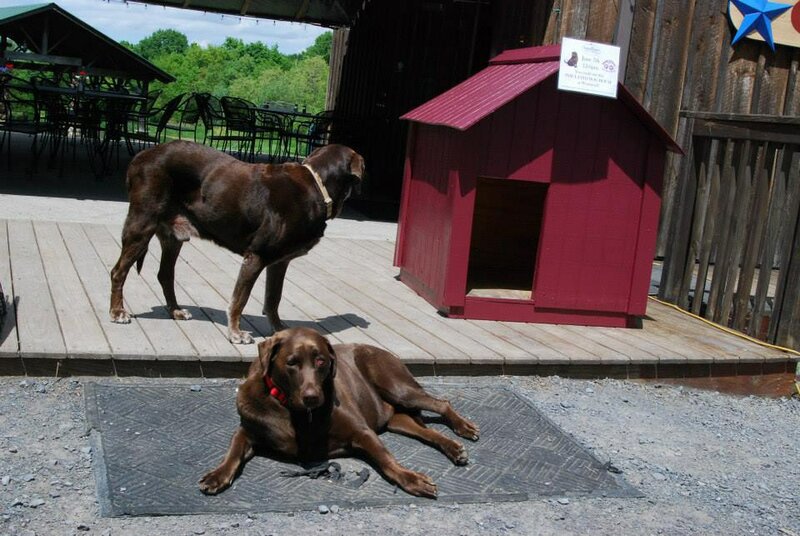 Did you know that the doghouse in front of the winery was a handmade donation the first year of Woofstock? We raffled it off, but the winner donated it back to us to keep here at the winery for Max, Rubie and all their 4-legged visitors to use!